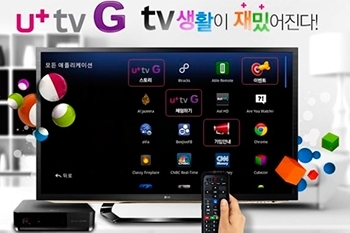 South Korean telco LG Uplus has partnered with Google to deliver its managed IPTV service via Google TV set-top boxes, becoming the first IPTV operator to do so, according to local news agency Yonhap News. As a result of the partnership, its IPTV subscribers can access 119 linear channels along with Web-based apps and services such as the Chrome browser, YouTube and Google Play, for a monthly fee of KRW 9,900 (US$ 9). In a separate blog post, Google stated that its collaboration with LG Uplus meant Google TV is now available in ten countries (the US, Canada, Mexico, Brazil, the UK, France, Germany, the Netherlands, Australia and now South Korea). However, despite Google’s attempts to win over pay-TV providers, these approaches have been largely rebuffed – before LG Uplus, only US satellite operator Dish Network has decided to work with the Android-based Google TV project. LG recently revealed that is taking the plunge into cloud gaming services after partnering up with Taiwanese firm Ubitus, enabling it to deliver classic games to its 500,000 IPTV subscribers.